Are you ready for smartphones to have triple the RAM of your average laptop? The Lenovo Z5 Pro GT was the first smartphone in the world to launch with the Qualcomm Snapdragon 855 and 12GB RAM. In just 2 days, both Samsung and Xiaomi will announce smartphones with the Qualcomm Snapdragon 855 and 12GB RAM. 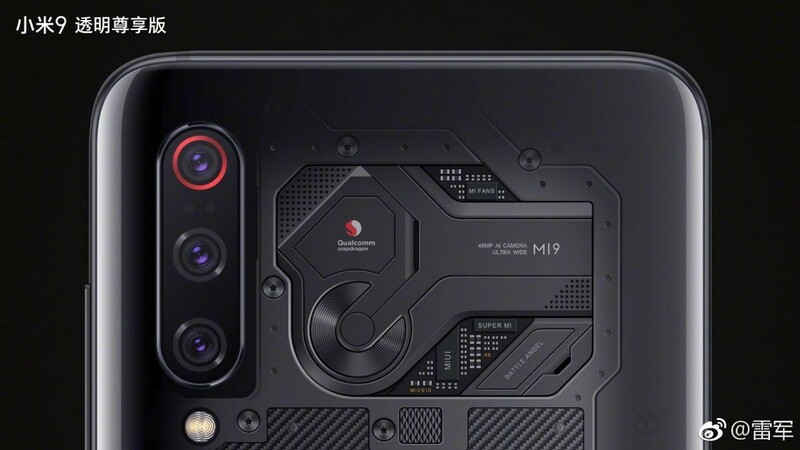 We’ve heard for a while now that one model of the Galaxy S10+ will have a whopping 12GB RAM, but just an hour ago, Xiaomi’s Founder Lei Jun unveiled that the highest-end model of the upcoming Mi 9 will have 12GB RAM. 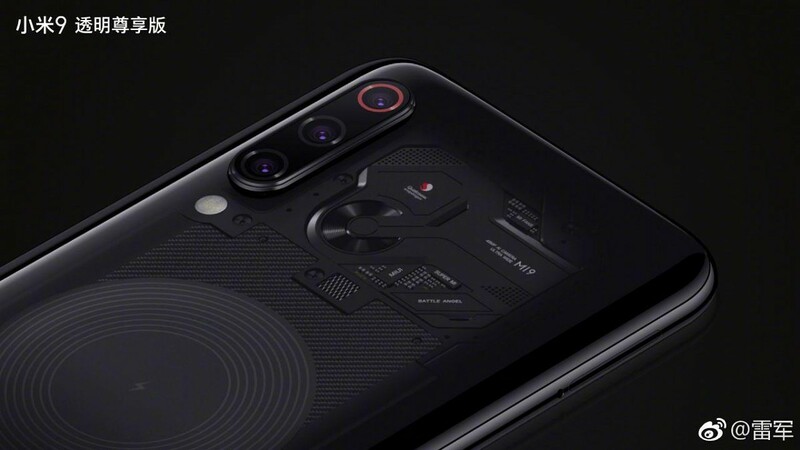 This special Xiaomi Mi 9 model will also have a “transparent” back (like the Xiaomi Mi 8 Explorer Edition, it’ll probably show an inert PCB) and will have Alita: Battle Angel branding. 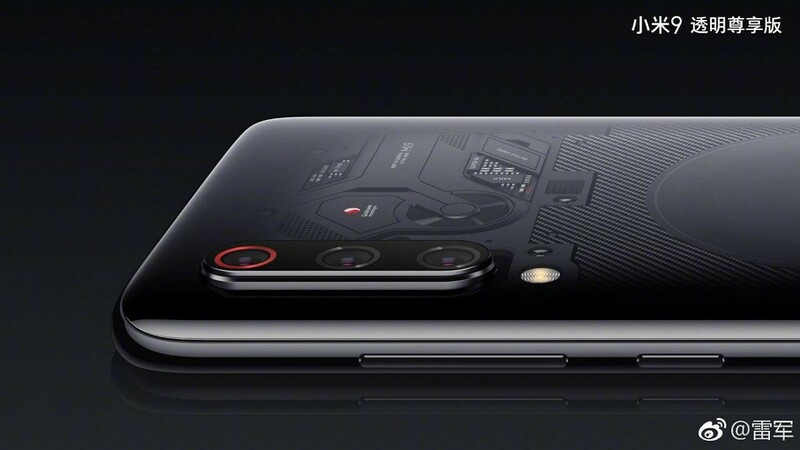 In his post, Lei Jun states that the Xiaomi Mi 9 Transparent Edition will also have a 48MP primary rear camera, but that it’ll be a 7P lens with f/1.47 aperture rather than the 48MP 6P lens with f/1.75 aperture on the standard model. The gradient glass on the Mi 9 Transparent Edition is only 0.4mm thick. 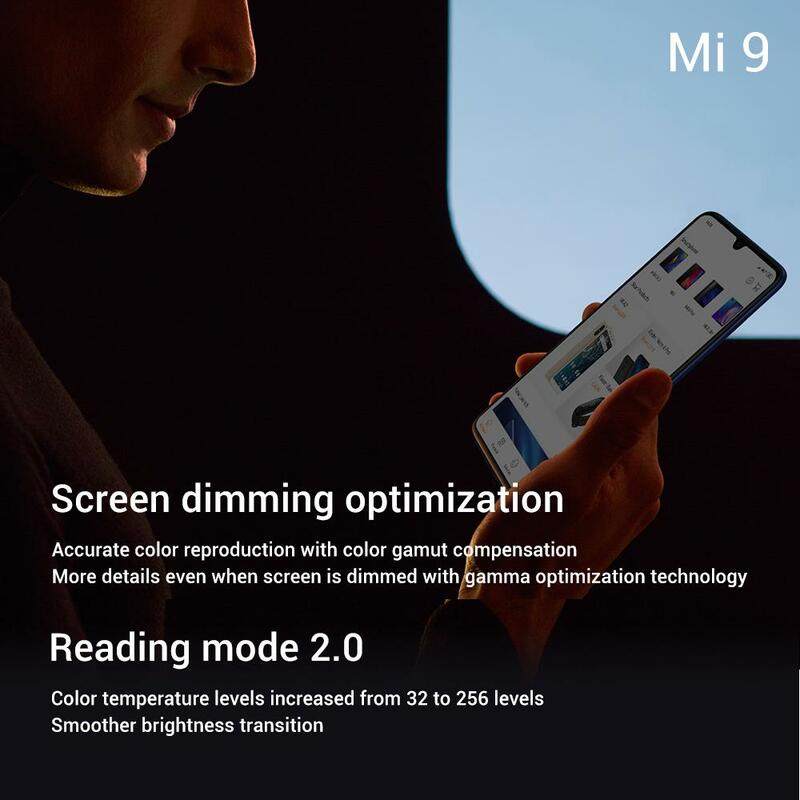 Besides the increased RAM, unique back design, and slightly modified camera, the Mi 9 Transparent Edition is otherwise the same as the regular Mi 9. 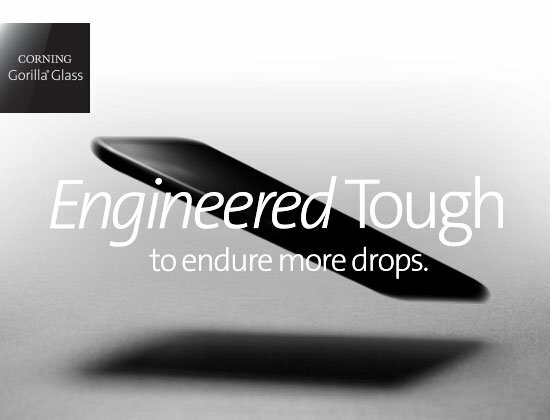 The Mi 9 will have Gorilla Glass 6. 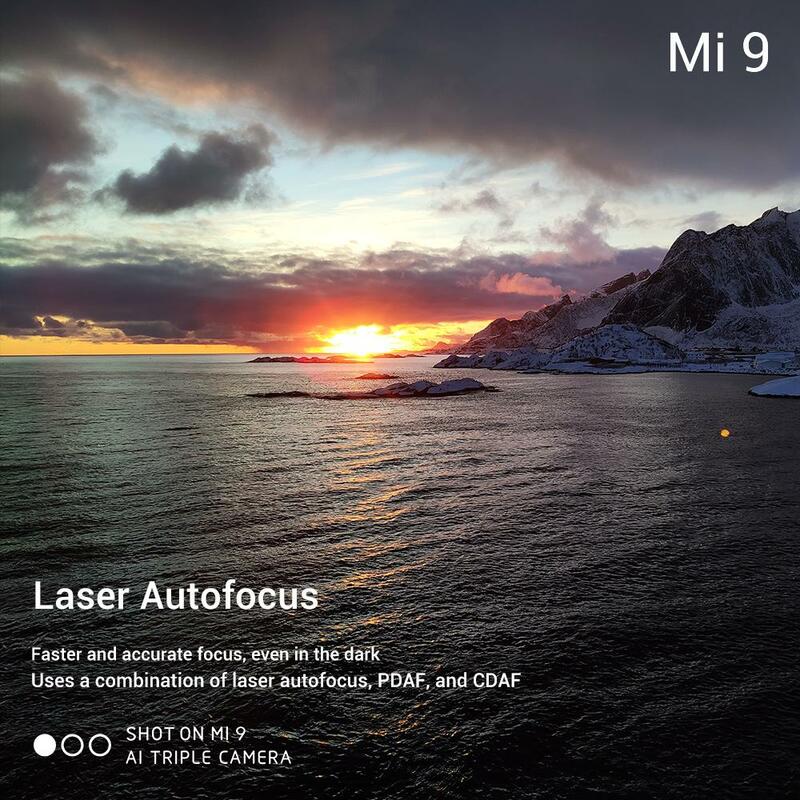 The Mi 9 will have Laser Autofocus, combining PDAF and CDAF (Phase and Contrast Detection Autofocus). 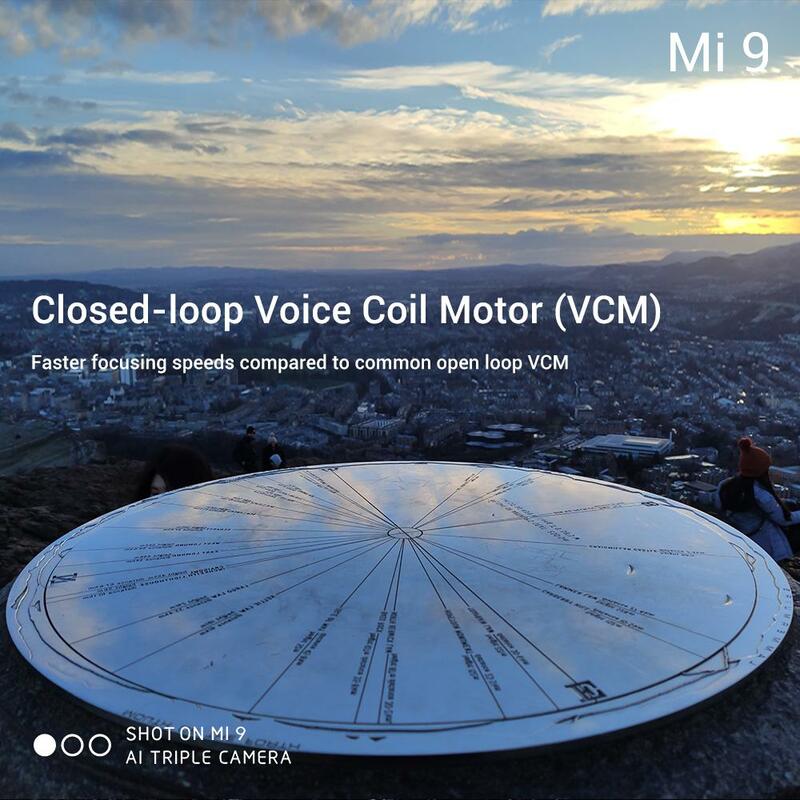 The phone will also have a closed-loop Voice Coil Motor (VCM) for improved auto-focusing. 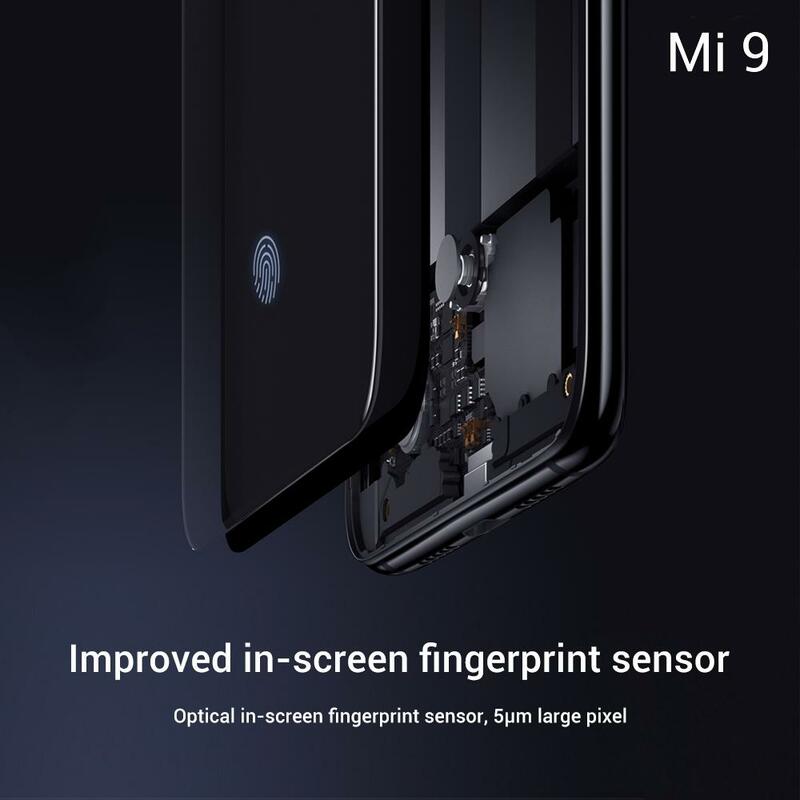 The Mi 9’s in-display fingerprint scanner is optical, rather than ultrasonic. Xiaomi says the fifth-generation in-display fingerprint sensor hardware is 25% faster than the fourth-generation sensors. 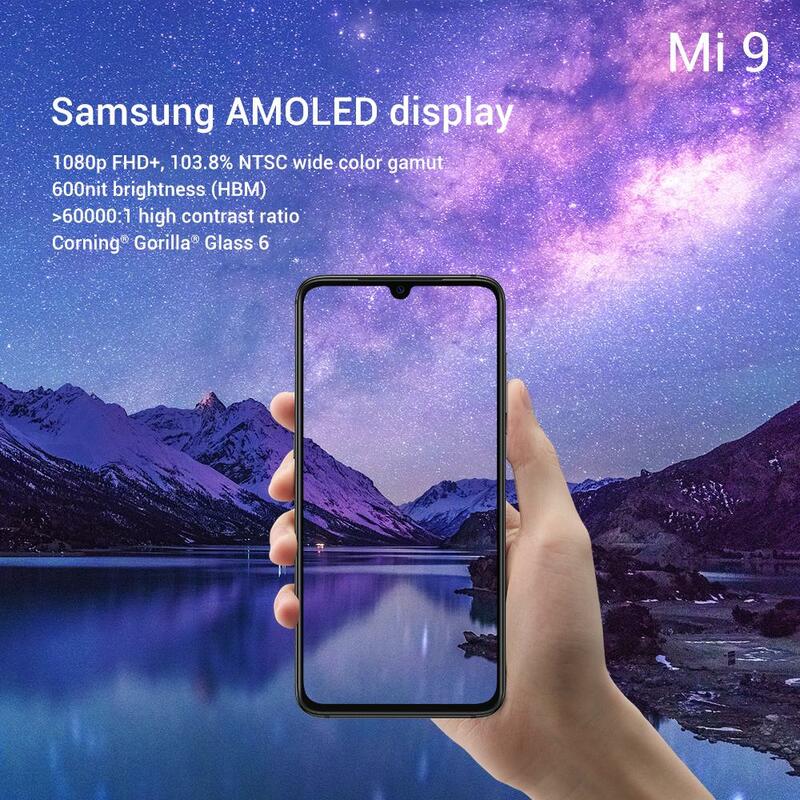 The Mi 9 will have a Samsung-made AMOLED panel. The display panel will have an FHD+ resolution, 103.8% NTSC wide color gamut, and 600-nit brightness with support for High Brightness Mode (HBM). 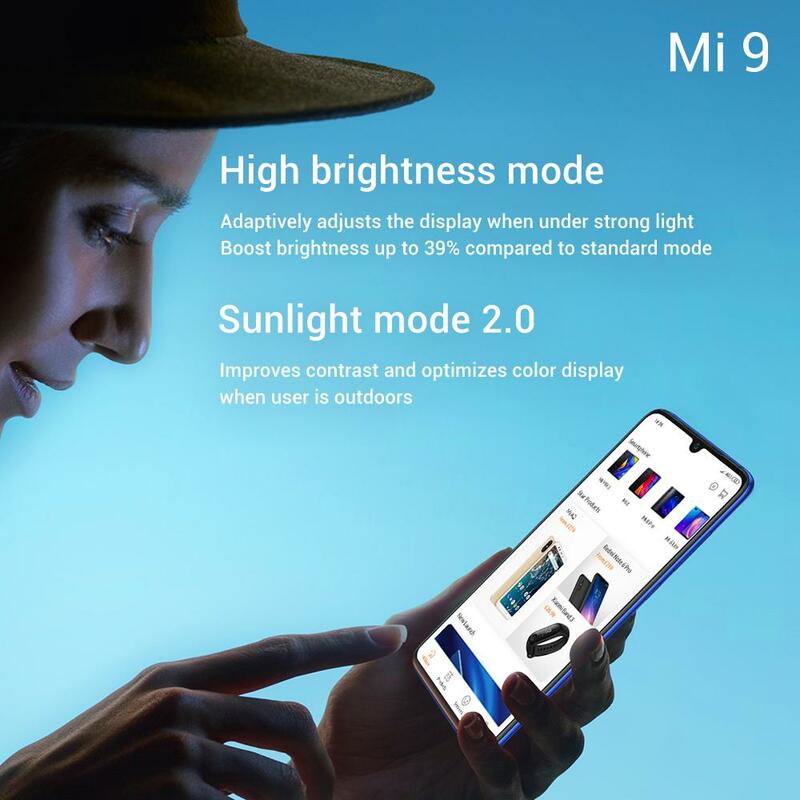 The phone will have a new “Sunlight mode 2.0” which Xiaomi says “improves contrast and optimizes color display” when the user is outdoors. The phone will also have “Reading mode 2.0” to increase color temperature levels “from 32 to 256” with smooth brightness transitions. 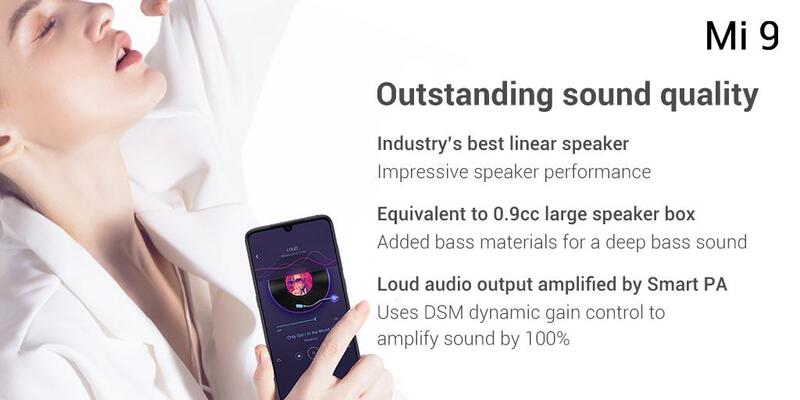 Xiaomi promises “outstanding sound quality” on the Mi 9. Xiaomi states the phone has the equivalent sound output of a 0.9cc large speaker box. 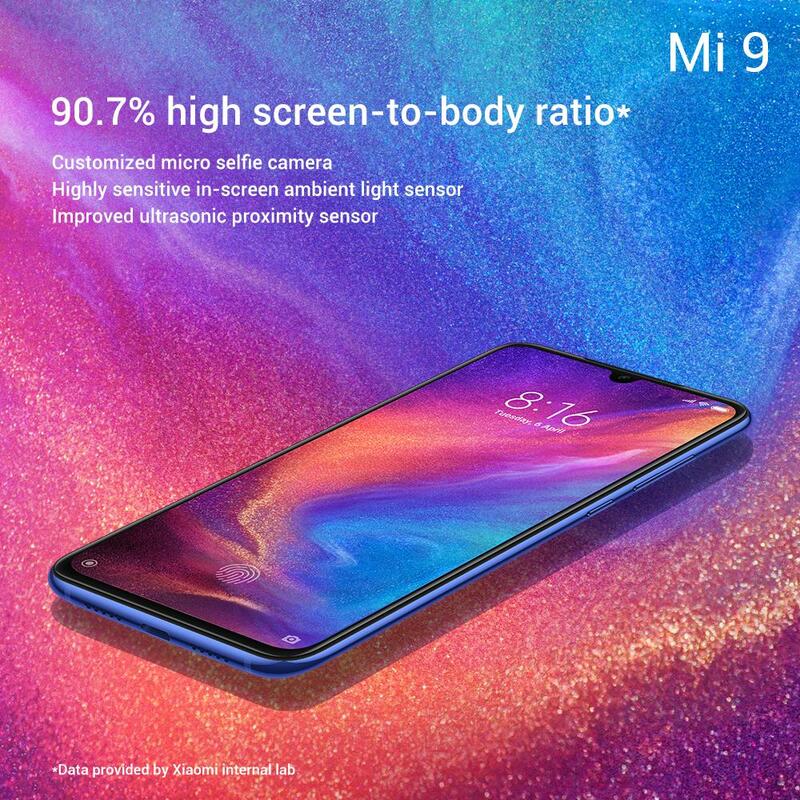 That’s all we know so far about the Xiaomi Mi 9 and its higher-end sibling, the Xiaomi Mi 9 Transparent Edition. These two smartphones will be announced in just 2 days—within 24 hours of Samsung Unpacked—so stay tuned for a hectic February 20th.